6 Benefits to Playing Volleyball!! Volleyball, like most sports will improve both your weight and fitness. It also helps make one more aware of healthy decisions such as not drinking or smoking. Each position requires almost every muscle in the body. 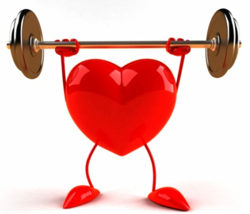 With your heart rate up, your blood will help circulate nutrients throughout your body. Bonus! Breast Cancer or Osteoporosis later in life become a lower risk when playing volleyball. Volleyball is also known to improve respiratory & cardiovascular systems. Burning calories is a bonus to having a healthy lifestyle. The longer you play the more calories are lost. Volleyball is very much a full body sport. All athletes sweat which requires plenty of fluids to replenish your body. Jumping, diving, serving requires determination, hand eye coordination, agility, and speed. Being on a volleyball team is a fantastic way to meet new people and it's tonnes of fun!! Volleyball is one of a few sports where you have to use at least one of your teammates on almost every rally. That's what really makes volleyball so enjoyable. Its a total team effort! Volleyball stimulates endorphins which are the bodies natural mood lifters. There is a direct correlation between stress hormones in the body and exercise. Being physically active in volleyball will keep one’s mind distracted for the time being from daily stress. Over time, the endorphins building may even leave one feeling more relaxed after a volleyball workout. It is known that adults who play team sports such as volleyball become much more successful in their field. The characteristics being developed with different outcomes such as wins and losses transfer to real life situations. To achieve victory in volleyball, communication skills for problem solving must be utilized. Networking, cooperation & leadership are extremely valuable in the work force, just like in volleyball.